Home > News & Blogs > Accident Claims > ‘Without prejudice’ personal injury claims – are we doing the best for injured people? ‘Without prejudice’ personal injury claims – are we doing the best for injured people? What does this mean and what does it mean for our clients? Should we accept this or press for a formal admission of liability? Are we acting in our clients best interests if we do accept this? The starting point when considering this issue is, of course, the pre action protocol for personal injury claims. The protocol sets out how the Courts expect the parties to act prior to the issue of proceedings. In instances where the protocol has not been complied with, the Court may impose sanctions on the offending party. The pre action protocol states at paragraph 6.3 that the Defendant should reply by the end of the protocol period (which in most cases is 3 months) confirming if liability is admitted. If liability is denied, then they should set out the reasons why as well as providing documentation to support their denial of liability (where appropriate). A formal admission of liability may be relied upon when preparing your statements of case. 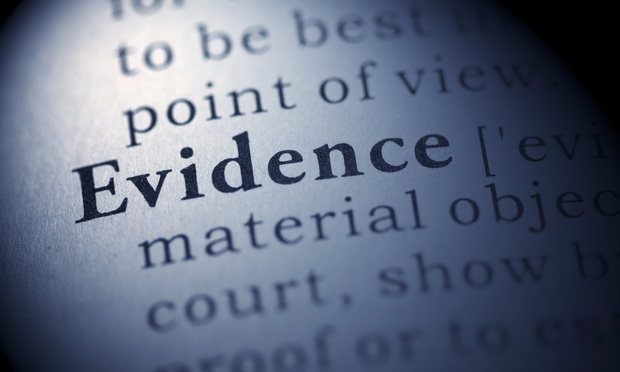 A denial of liability, supported by documentary evidence, is helpful in understanding the Defendant’s case giving you additional information with which to investigate the claim further. If the Defendant can in fact show that they were not at fault for the accident, it is in all parties’ interests that this is firmly established at the outset. What do Defendants mean by ‘dealing with claims on a without prejudice basis’? It may not be entirely clear what is meant when a Defendant states that they will deal with the claim on a without prejudice basis. What is generally meant by this, is that the Defendant will agree to ‘deal’ with the claim and pay compensation without confirming that the Defendant is at fault for the accident. This can be beneficial to a Defendant as it means that they can conclude matters without having to admit fault. This can be particularly advantageous for a Defendant where the claim settles pre action as the claim can remain confidential. A Defendant insurer may also want to deal with a claim on a without prejudice basis if there are indemnity issues in respect of their insured or if they are struggling to obtain instructions from their insured. Unfortunately, the benefits to the Defendant of dealing with claims on a without prejudice basis do not apply similarly to the Claimant. For the Claimant, they are left with uncertainty as there has not been any formal admission of liability. Further, so many of my clients have been through a traumatic experience as a result of their accident, and they seek an admission of liability or a finding of fault in order to help them move on following the accident. Should we accept this response? Are we acting in our clients best interests if we do? Let us first consider the consequences of an admission or denial of liability. Where liability is admitted in full, the Claimant will then cease liability investigations so as to keep costs to a minimum. This is of course the incentive to the Defendant to admit liability in the first place; that costs will be reduced if liability is admitted at an early stage. Where liability is denied, the Claimant will continue to incur costs investigating the claim and gathering evidence in order to prove their claim. In the event that the Claimant is successful in their claim, the Defendant will be liable to pay the costs of the Claimant proving their claim. So what is the position where the Defendant agrees to deal with the claim on a without prejudice basis? It may be tempting to accept this response, put liability investigations to one side and to get on with assessing quantum in respect of the claim. After all, the Defendant hasn’t denied liability, have they? Further, if you continued to incur the costs of investigating liability, these costs would then be disputed at the end of the claim as being unnecessary. But it must be remembered that the Defendant hasn’t admitted liability. What if it is not possible to settle the claim before the expiry of limitation and you are forced to issue proceedings? You cannot rely on any pre action admission in your statements of case, as there hasn’t been one. Further, what if the Defendant then seeks to deny liability in their defence? You will not have investigated liability and will have no way of proving the Claimant’s claim. Witnesses may no longer be available to support the claim, or may have forgotten vital details. The opportunity to inspect an accident location or piece of equipment may no longer be possible due to the passage of time. In my view, to accept that a claim will be dealt with on a without prejudice basis is not acting in your clients best interests. There is a risk that the claim will not be prepared properly on the assumption that liability will not be in issue which could have devastating consequences for the Claimant. Remind the Defendant that pursuant to the pre action protocol, they are required to either admit or deny liability within the protocol period. Failure to do so is a breach of the protocol and costs sanctions may result. Confirm that if liability is not admitted, you will continue to incur costs investigating liability. You may then refer the Court to this letter should the issue of costs arise. Confirm that unless liability is admitted forthwith, you will issue proceedings. The Defendant will be forced to admit or deny liability in their defence and so this may encourage them to do so now to avoid issuing proceedings. As a personal injury solicitor representing injured people, my priority is to ensure that my clients are properly compensated for the injuries that they have sustained through no fault of their own. I am not willing to leave any aspect of this process to chance. If I cannot be sure that the issue of liability is resolved in favour of my client, it is imperative that I investigate the claim fully and gather sufficient evidence to ensure that my client would be successful should the claim proceed to trial. The Claimant is expected to provide the Defendant with clear details of their case at the outset; I consider it only fair that Defendants are forced to do the same. If you or a loved one have suffered injury as a result of someone else’s negligence, contact us free of charge and in confidence on 020 3813 5492 or at PersonalInjury@boltburdonkemp.co.uk for specialist legal advice. Alternatively, you can complete this form and one of the solicitors in the Personal Injury team will contact you. You can find out more about the Personal Injury team.